China’s box office set a single-month record in a single market this February. According to data from China Movie Data Information Network, Chinese mainland’s box office stood at 11 billion yuan ($1.64 billion) last month, up from 10.1 billion yuan a year before. The Chinese mainland has become the first film market that breaks the 10 billion yuan mark twice in single-month box office revenue. 8 movies were screened during the Spring Festival this year, the highest number over the same period of the past three years. It is a new fancy for Chinese people to hit the theaters during the Spring Festivals, which has contributed a big part to the surging box office this February. 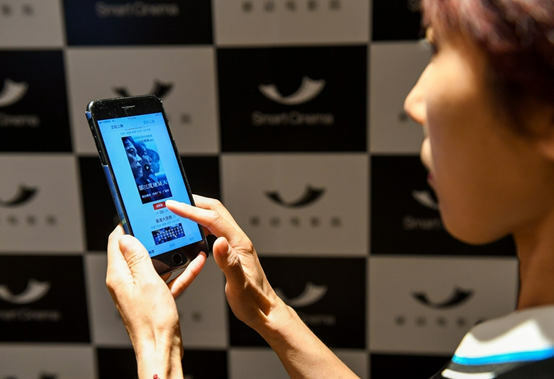 A nation-wide satisfaction survey conducted by China Film Archive indicated that cinemagoers gave an average rating of 83.9 out of 100 for movies came out during the 2019 Spring Festival, the highest since the survey began in 2015. The science fiction film Wandering Earth, ranking the top on the list, brought in over 4.4 billion yuan ($656 million), or 40 percent of the total box office revenue in Feb. It also earned $5.3 million in North America last month, rising as the best seller among all Chinese films released in this market over the last five years. What contributes to the new highs are the productive Chinese filmmakers, the more segmented audience, the increasingly regulated market, and the maturing film industry. In 2018, China produced a variety of 1,082 movies, collecting over 60 billion yuan ($8.94 billion) at the domestic box office. Domestic films generated nearly 37.9 billion yuan ($5.65 billion), accounting for over 60 percent of the total revenue. Urban cinema audience totaled 1.72 billion. By the end of last year, China has had a total of 60,079 big screens, up by 9,303 from 2017, the highest in the world. Four of the top 10 blockbusters in 2018 were domestic films. Operation Red Sea, Detective Chinatown 2, and Dying to Survive all hauled in more than 3 billion yuan ($447 million). The next ten years would be a critical period for China to grow from a prime contender to the powerhouse in the movie market, said an official of the organizing committee of the 1st Hainan International Film Festival last December. At present, the Chinese movie market, opening to the world, has become the second largest across the globe. Chinese filmmakers are also nurturing an international vision, and cooperating with their peers from home and abroad. The openness of the Chinese film market will promote in-depth capital cooperation of the film industry. Facing the future, Chinese films will surely embark on a path of healthy development.